Carolyn Wainscott here wishing all of you crafters a happy crafting year. My first 2017 project for you here @ Seams And Scissors is A Quick Heart Shaped Mug Rug for your BFF. 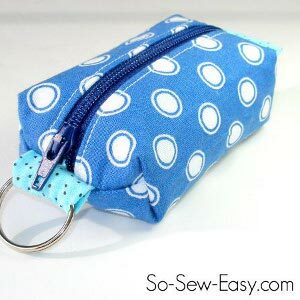 Simply sew fabric tubes and weave them together like we used to make those yarn potholders-remember those? 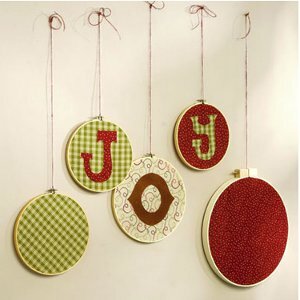 My BFFs include my 2 sisters and a couple of close gal friends that I want to make these for our next birthday luncheon. 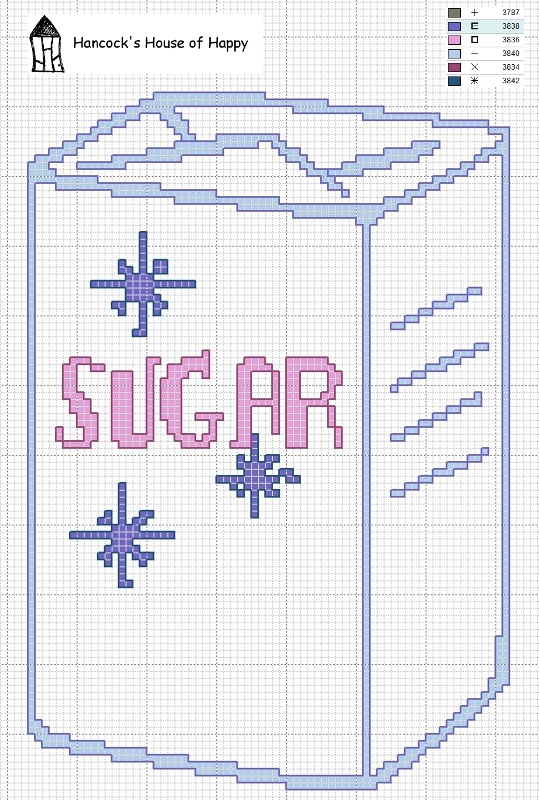 Patterns for the heart shaped mug rug plus an extended hexagon are both included on the pattern. That is all there is to it unless you choose to add embroidery or trims. 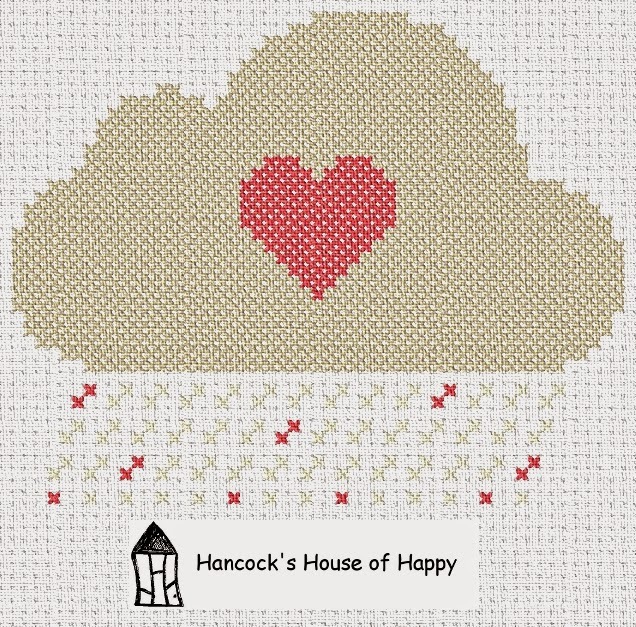 The kiddos will love making the heart shaped mug rug as well as the hexagon shaped one. If you choose a print it needs to be a small scale. 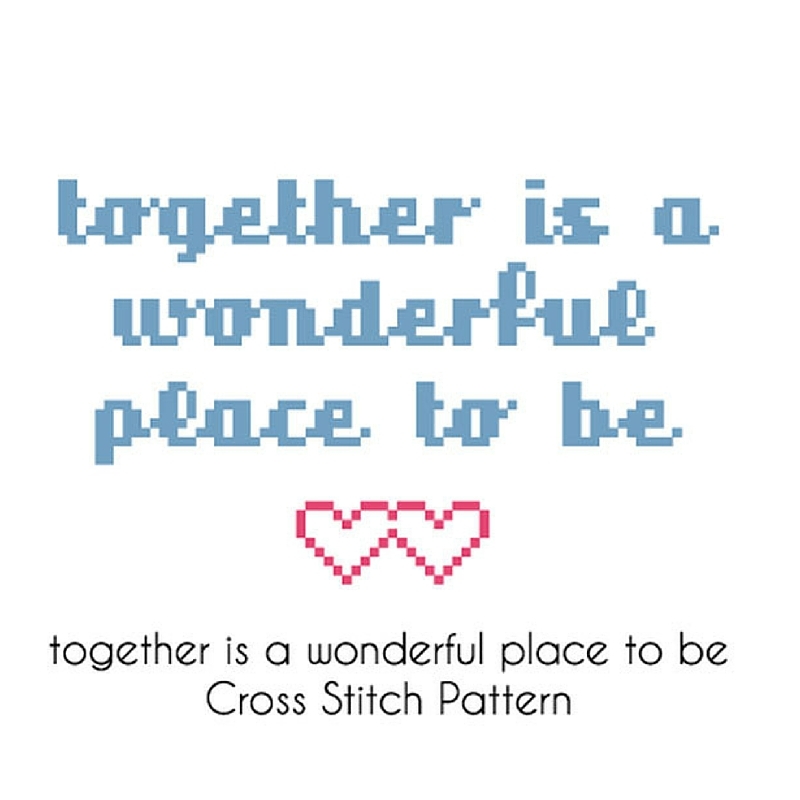 In my stash are two really cute Valentine prints that I wanted to use for the mug rugs but the scale was too large so I had to go shopping again on my shelves. 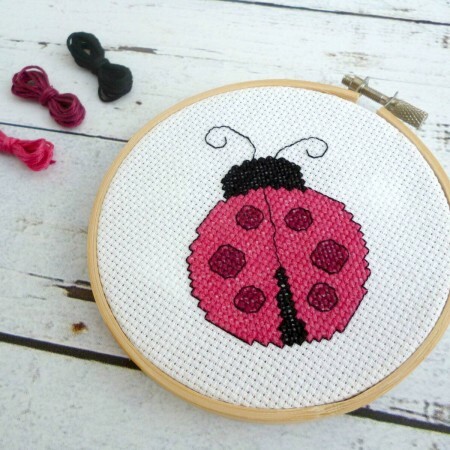 Found this lady bug print which is still a little large but I kind of like those eyes peeking out here and there. Be on the look out for some great projects planned in 2017 for all of us crafters here @ Seams And Scissors. Fall is officially here with its chilly winds, falling leaves, and football games. 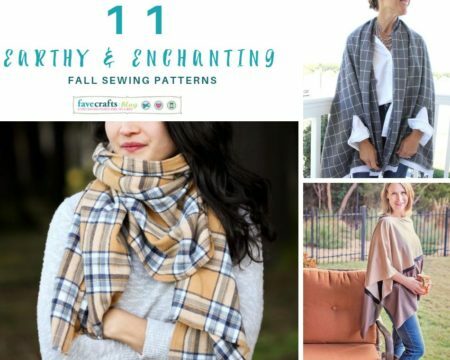 Whether you’re planning some apple-picking, headed out to explore a corn maze, or are just planning on staying inside and cozy with a pumpkin spice latte, these 11 Earthy and Enchanting Fall Sewing Patterns feature your favorite autumnal hues. From opulent oranges to maple leaf reds, these sewing project ideas are sure keep you styling through spooky Halloweens and November turkey dinners. I am personally a huge fan of reds, oranges, and yellows. Growing up in the midwest, I absolutely love crisp days when the leaves have changed. Watching these happy hues float down from the trees always reminds me of happy football games and fall hikes in the woods. This is why I love including harvest color palette ideas into my fall sewing projects. 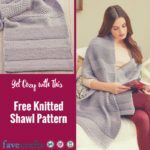 If love sewing projects, check out our newly updated free sewing patterns eBook for newbies, Sewing for Beginners: Learn to Sew with 20 Free Sewing Patterns. What do you consider the first sign of fall? Mine is when I see the leaves falling. I don’t know about you, but I have come to dread putting on my swimsuit. When I was younger I couldn’t WAIT to slip into my bikini and jump in the pool. Now, though, I can’t help but feel a little self-conscious. That’s why I was thrilled when I realized how many DIY swimsuit patterns there are online. Whether you’d feel best in a one piece, a bikini, or a tankini there are free sewing patterns you can use to teach yourself how to make a swimsuit, and we’ve got eight of them right here! 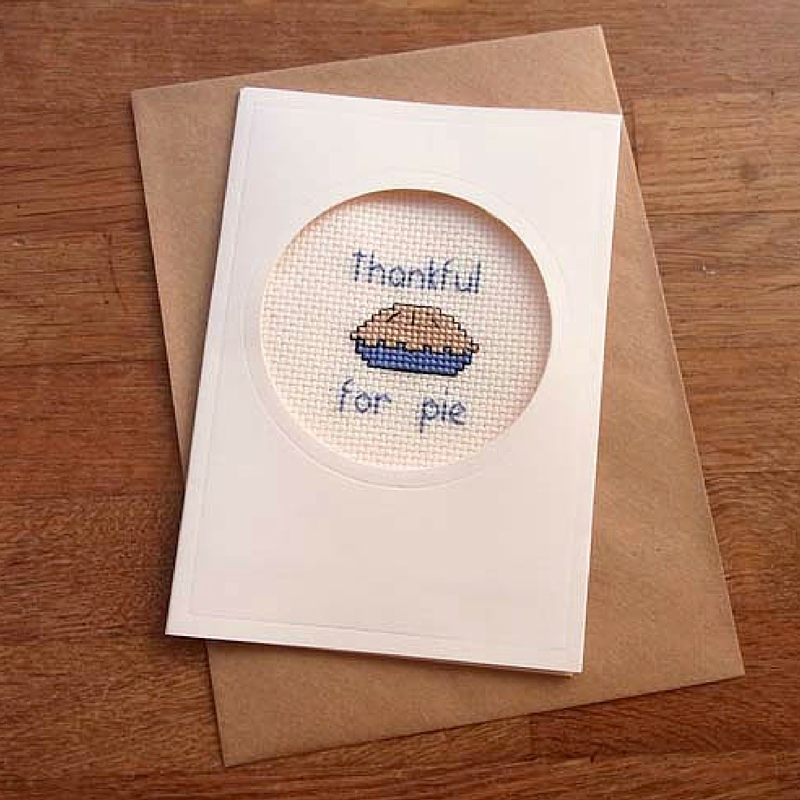 Some are from our friends at AllFreeSewing.com, and others are from bloggers we admire around the web. The month of May will be over before we know it, so you best dive in and choose a pattern before swim season is in full swing. 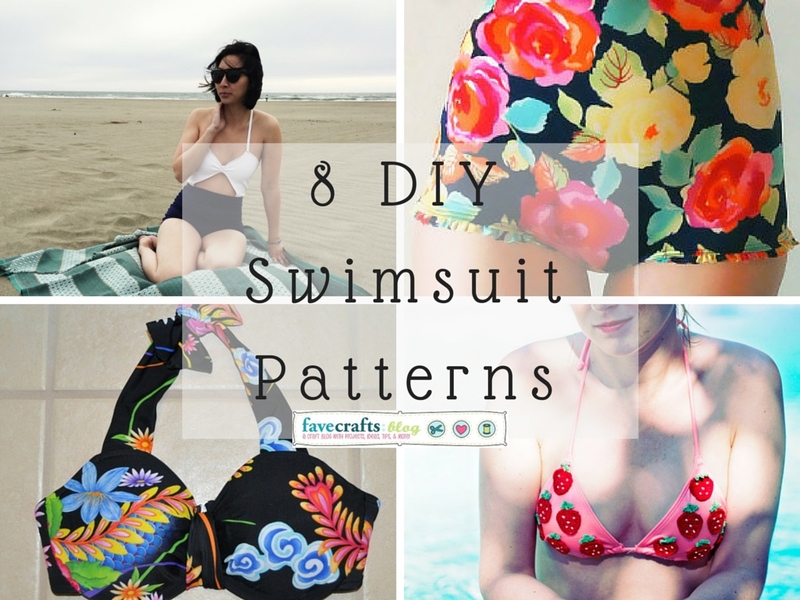 Stylish Cut Out Swimsuit Patterns -TWO patterns in one spot! Are you excited to learn how to make a swimsuit? For those who are new to sewing, there’s no better pattern to try than a handmade skirt. DIY skirts can often be made in less than a few steps, and it’s super easy to obtain all the measurements you need in no time. Flattering for several body shapes and sizes, skirts make a great fashion staple for year-round comfort and style. 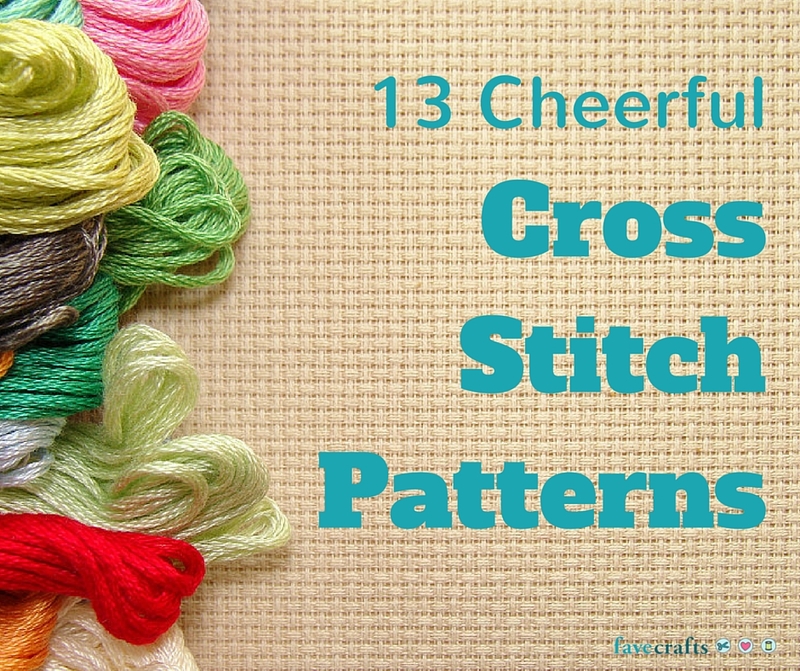 Patterns like the Dollar Store Petal Skirt are great for beginners and thrifty crafters. Made with items you can easily find at a dollar store (or items you might even have in your craft stash already), this skirt is great for kids and adults of all ages and requires very little measuring and assembly. The Easy Breezy Skirt is also a great one for those with little to no sewing experience. Worked up in a simple pattern and pieced together using a sewing machine, this skirt is the perfect project for beginning crafters who are looking for something unique and fun to make that easily transitions from work to play. 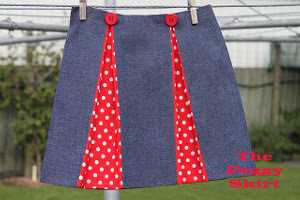 And speaking of play, who doesn’t love this awesome Recycled Umbrella Skirt? Unlike anything you’ll probably see in stores, this cool skirt is the perfect way to put that broken umbrella to use. 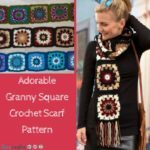 This pattern also lends itself well to mixing and matching fabrics, textures, and styles. As an added bonus, we’re throwing in a special giveaway that you’re sure to love. 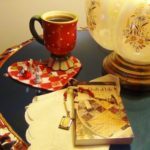 Scroll on down to find out how you can win an awesome book filled with simple skirt patterns to flatter every body type. BONUS! Can’t get enough skirt patterns? Check out our new giveaway, Stylish Skirts: 23 Easy-to-Sew Skirts to Flatter Every Figure. 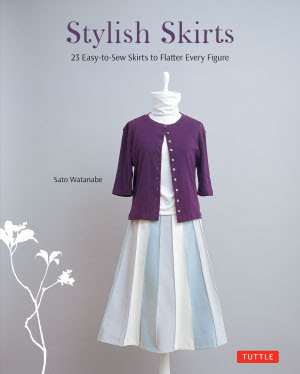 Filled with simple sewing patterns for making skirts to flatter every body type, this book is great for sewists who are looking for creative ways to dress their body type. You have until August 22th to enter, and you can enter to win once a day…so the more you return, the greater your chances of winning this awesome giveaway! Head on over to the giveaway page now and register to win today! Good luck! Let’s face it, sewists- you do not have all the time in the world. While we would love to sew for hours on end, life can get in the way. 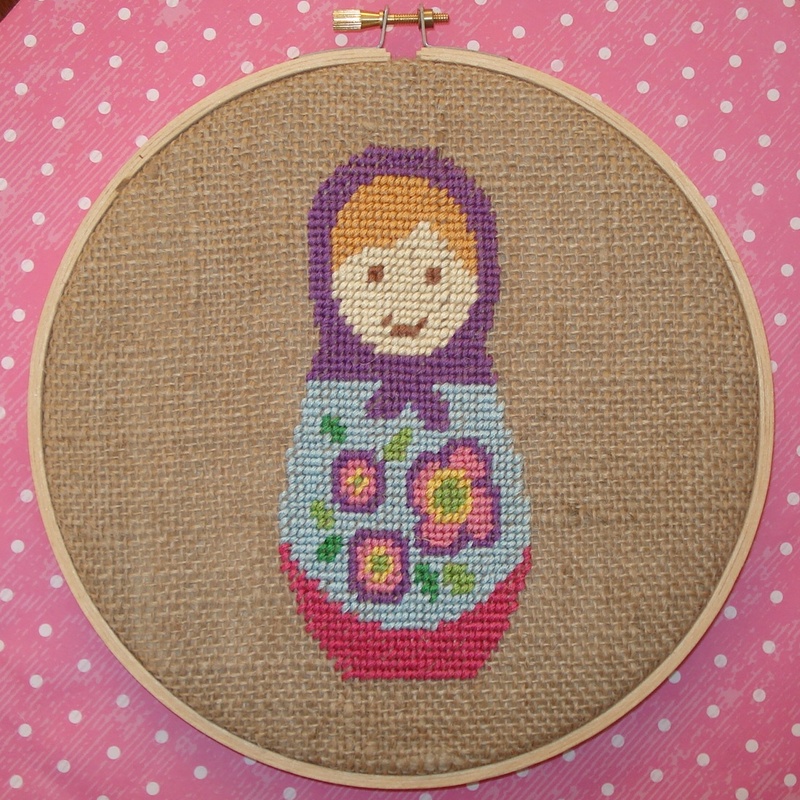 Luckily, you can use quick sewing projects to get your crafting fix in. 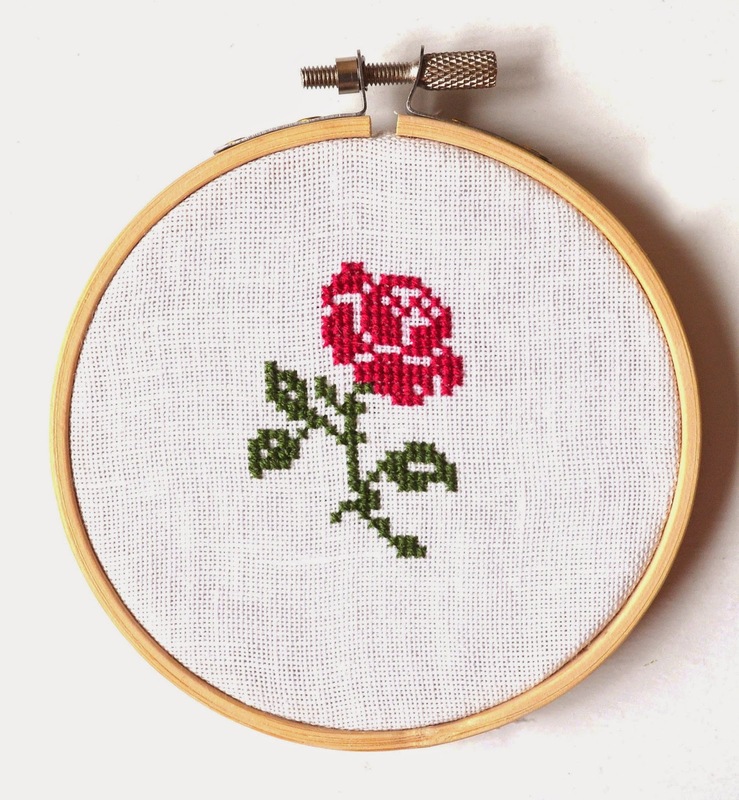 These quick and easy sewing projects are an excellent way to take a break. Fast projects let you focus for a short amount of time on something besides your worries. 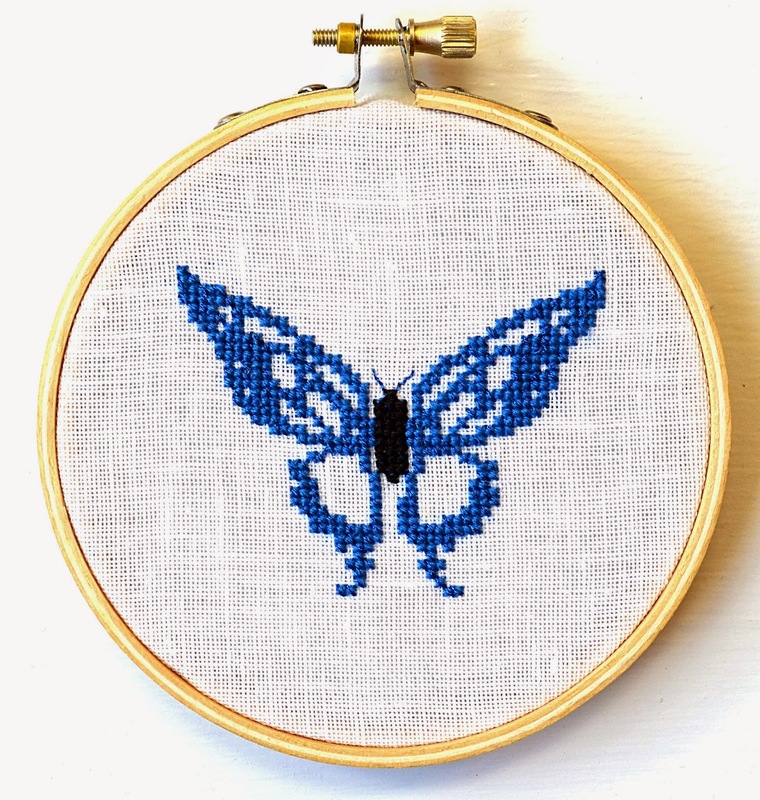 These little projects are great stress-busters. If you are feeling overwhelmed or stressed, take a fifteen minute break. Just like a 15 minute power nap, quick sewing projects can help you find a moment of zen and center yourself during a chaotic week. 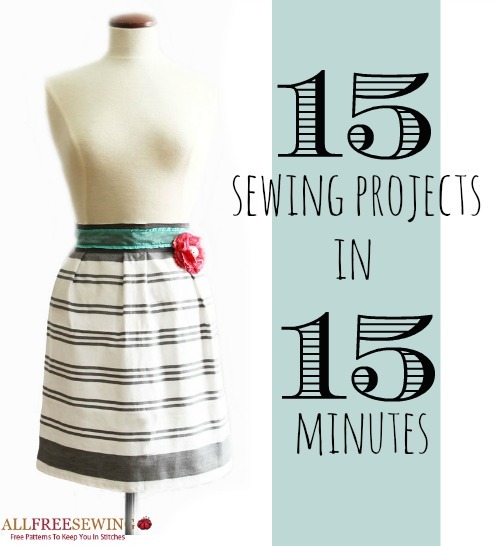 All of the projects in 15 Quick Sewing Projects Under 15 Minutes help you find a sewing moment to yourself. When I am stressed out, I find that taking just a moment of time for myself can help tremendously. Reading a favorite book, crafting a small project, or even sipping coffee all by my lonesome can help me gain some perspective. 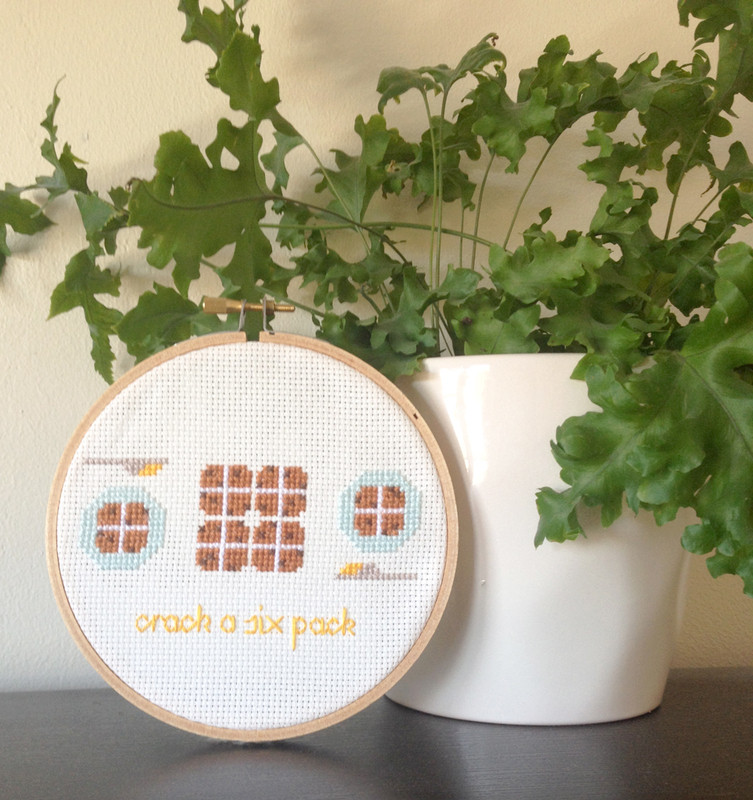 The best part about a quick sewing project is that you are being productive, too! 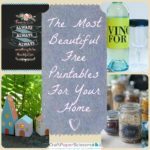 So, if you are feeling a bit overwhelmed, consider trying one of these fab projects. Enjoy! 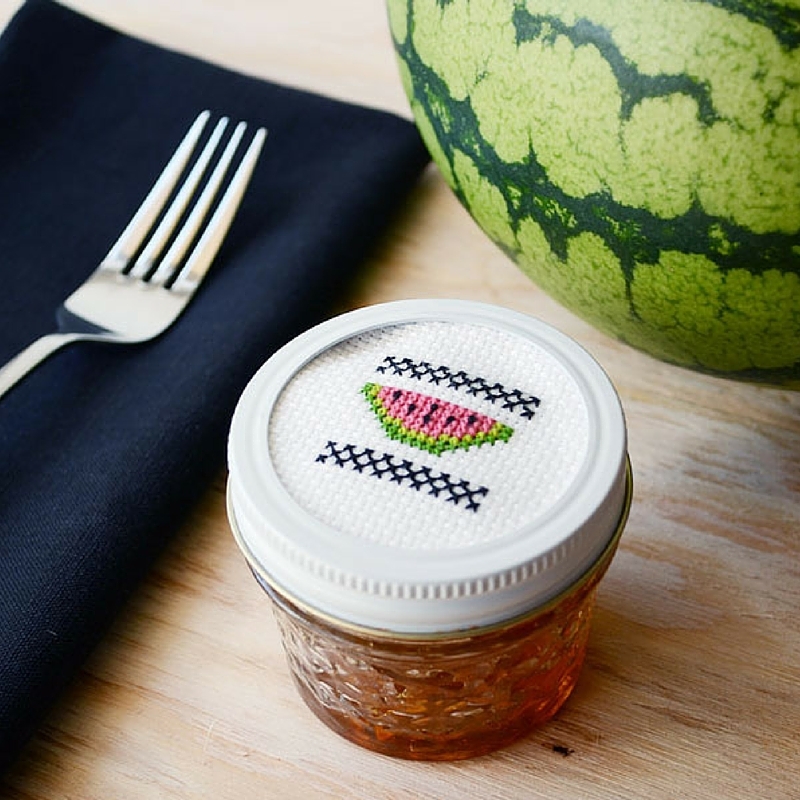 If you have 5 minutes, these insanely fast and insanely cute crafts are the perfect time-waster. If you have just a few more minutes, consider these 10 minute wonders. I’m in love with the 10 Minute Apron Pattern. It is just so cute. Don’t believe me? Look up! Fifteen minute projects are hands-down my favorite projects. It is enough time for you to take a serious break from the day. 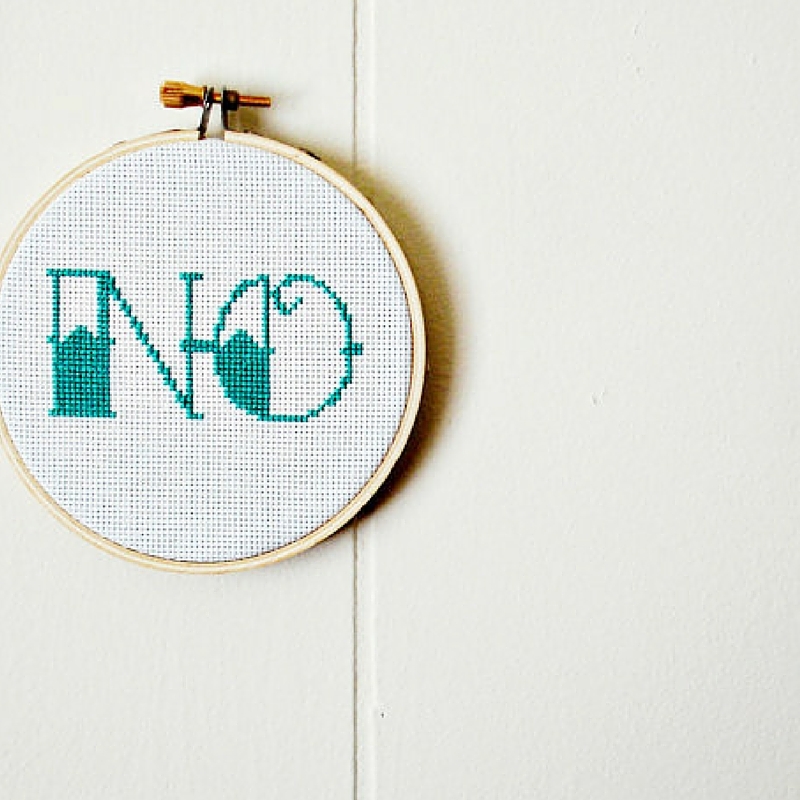 These projects giveyou a craft zen moment without eating up too much of your day. Plus, they’re really handy. 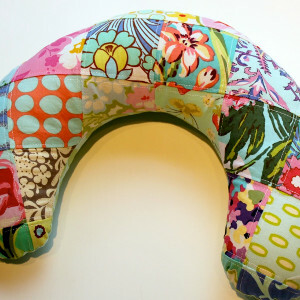 If you love these projects you will love our 32 Quick and Easy Sewing Projects. 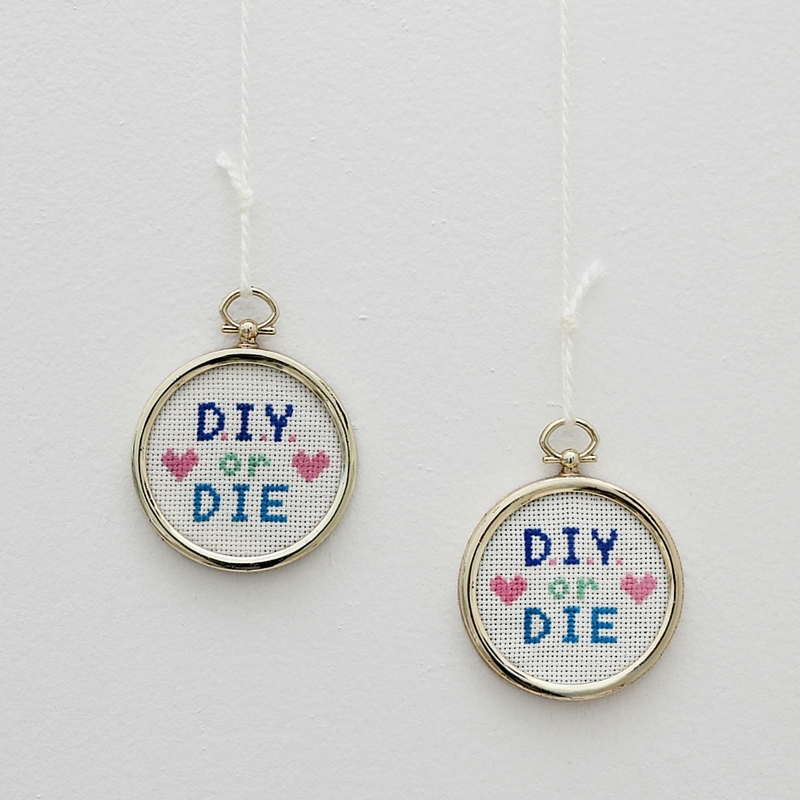 When you have 15 minutes to sew, what sort of projects do you reach for? 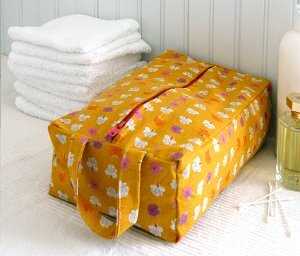 Warning: This post contains incredibly helpful information and sewing tutorials. You were supposed to leave 12 minutes ago for the airport, but you know you’re forgetting something. Your keys? Chargers? ID? What is it?? There just isn’t time to think about it anymore. Boldly you yell at everyone to get in the car, scoop the dazed 4 year-old off the floor, and head out. Settled at your gate with your group of nomads, a heart-sinking realization sets in that you forgot everything. Don’t worry! It was just a dream. To prevent yourself from forgetting those personal and family essentials, we’ve created a list of items that you definitely need. 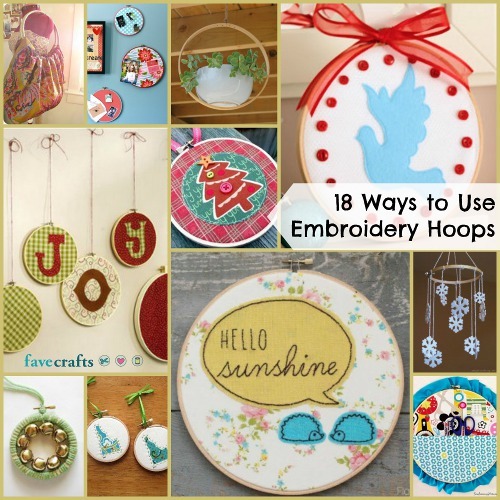 Best of all, they’re all simple sewing projects that you’ll enjoy making immensely. How do we know? Come on, you’re on a sewing blog; we’re one in the same. 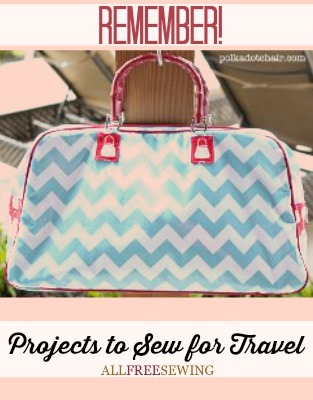 Take a trip with us by browsing through these tutorials on sewing purses, organizers, and more gear for traveling. 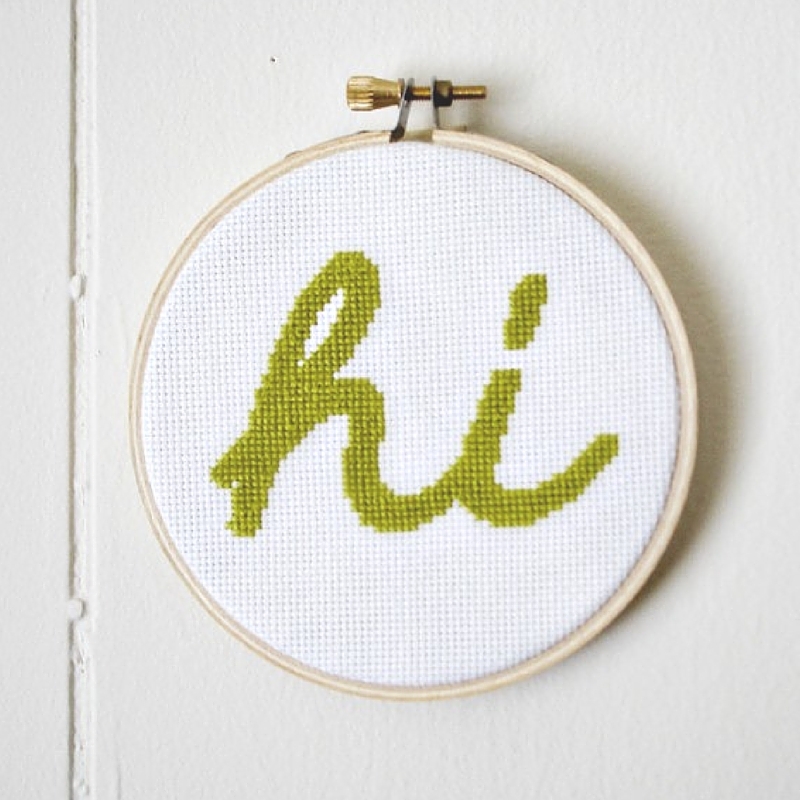 You’ll be surprised at how incredibly useful each of these free sewing projects is. Did we forget something? Hopefully not, but if you thought of an item on this list that wasn’t mentioned, tell us what it is! Ah, camping! It is one of the best summer activities. With warm weather and your family, you can escape to the woods or the lake with just a handful of supplies. In theory, camping is fun for the whole family. Time away means tuning out the rest of the world and spending time with one another, but kids do not always see it that way. Keep little ones busy and entertained by making these camping crafts for kids before you are tucked safely into your camper or tent out in the wilderness. 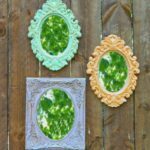 Instead of giving them time to complain about missing their televisions and iPads, engage their little minds and hands with some summer crafts for kids. 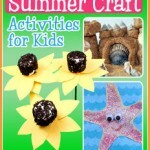 Whether they are playing pretend inside DIY tent summer camp crafts or waiting out the rain with a quiet book pattern or classic summer camp crafts, your kids are sure to have a lovely time exploring these camping crafts for kids. We have collected these Kids and Camping Hacks: 17 Camping Crafts for Kids. While most camping crafts for kids involve the little ones actually making the project, these DIY tents are just too perfect to not put in this blog post. 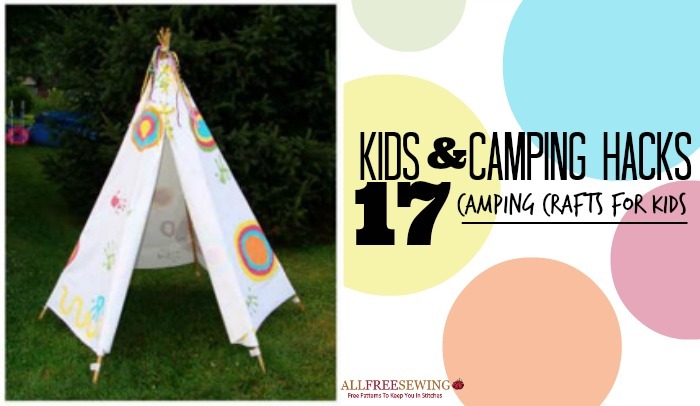 Let your little ones play pretend with their very own tent or teepee. These summer camp crafts would be perfect for a backyard sleepover, too! 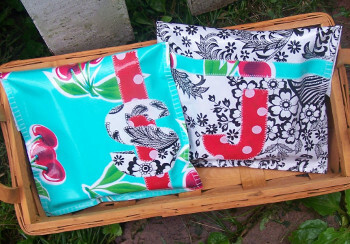 Use these DIY picnic blankets and other camp crafts to make sure your space is perfect for kids. If they have their very own placemat or blanket to sit on, kids are much less likely to get into huge messes while rolling in the grass or mud. Come armed and prepared for the inevitable rainy day. It is Newton’s Law of Camping that you will have to suffer through at least one rainy day. If you don’t have a place to explore for an indoor day trip, these quick camping crafts for kids will keep your little ones busy in the tent. What says summer camping and summer camp more than an old-fashioned friendship bracelet-making session. 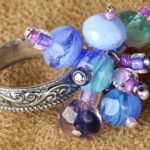 Friendship bracelets are easy to make, easy to cater to any skill level, and take up very few supplies. This would be a great craft for moms and little girls to make around the campfire but you don’t have to leave out the boys. Every little kid on this planet loves a good friendship bracelet. 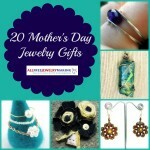 Plus, they make great gifts for mom or grandma! If you love these camping crafts for kids, check out these 23 Summer Outdoor Activities and Camp Crafts for Kids and 12 Free Apron Patterns & Easy Garden Ideas. What is your favorite summer camping or summer camp memory? Wearing shorts is one of my top five favorite fashion choices for the summer. I love being able to feel the sun and the air on my legs without all the extra responsibility of a skirt. I don’t have to worry about wind or crossing my legs just right. I can just enjoy the summer sun comfortably. There’s nothing more freeing than sporting some shorts, flip-flops, and a tee for the day. Summer casual is the best kind of casual. That’s why learning how to sew shorts is such an exciting summer sewing endeavor. The problem with buying shorts in the store, however, is they just keep getting shorter and shorter. Now I realize shorts should be, you know, short, but do they have to be that short? This is why I have started turning to how to sew shorts tutorials for my summer wardrobe options. When you make DIY shorts from a pattern, you can basically make them as long or as short as you would like. Learn how to jazz up your wardrobe with these amazing how to sew shorts tutorials. 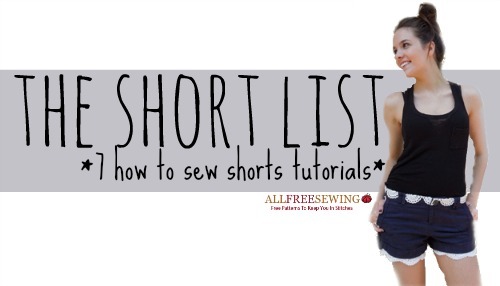 Use The Short List: 7 How to Sew Shorts Tutorials to spice up your summer duds. Faux Crochet Doily Shorts: I’m loving the lace on these. They are so simple to make and so feminine! Plus, lace-trimmed shorts are huge this season. DIY Pleated Shorts: Learn how to sew shorts with a classy twist with this tutorial. Wear these pleated DIY shorts with a button-up for a classy brunch or even to work if you make them long enough. DIY Lace Shorts: Add some length to some cut-offs that are just a little too short with these DIY Lace Shorts. How to Sew Shorts: Learn how to sew shorts from a pair of old pants with this upcycled sewing tutorial. Fast and Lazy Linen Shorts: Have an hour to burn? If so, follow this tutorial and you will learn how to sew shorts in under an hour. DIY Cut Off Jean Shorts: Make the perfect cut offs with this how to sew shorts tutorial. Simple Shirred Waist Shorts: These are so comfy and so easy. You will not regret sewing them. Pick one: shorts, capris, or a summer skirt.